Instead of the usual choice of a Red Velvet Cake for his birthday, my husband chose a Cassata Cake this year. The filling on this Cassata Cake reminds me of the filling in a Cannoli, another tasty Italian dessert. The filling is made with whole-milk ricotta​ and mini chocolate chips. The ricotta helps to cut the sweetness of the cake. Note: while there are multiple steps to this recipe, this Cassata cake is broken down into workable categories to help you better plan for preparation and baking. In a large bowl, combine the ricotta, powdered sugar, cinnamon, and vanilla with an electric mixer. Once the ricotta mixture is as smooth as possible (the ricotta will still cause it to have a few lumps), hand stir in the chocolate chips and the lemon zest. Cover the bowl with plastic wrap and refrigerate it for at least as long as it takes to bake the cake. This step could be done up to a day in advance if desired. Make your favorite flavored 2-layer cake. 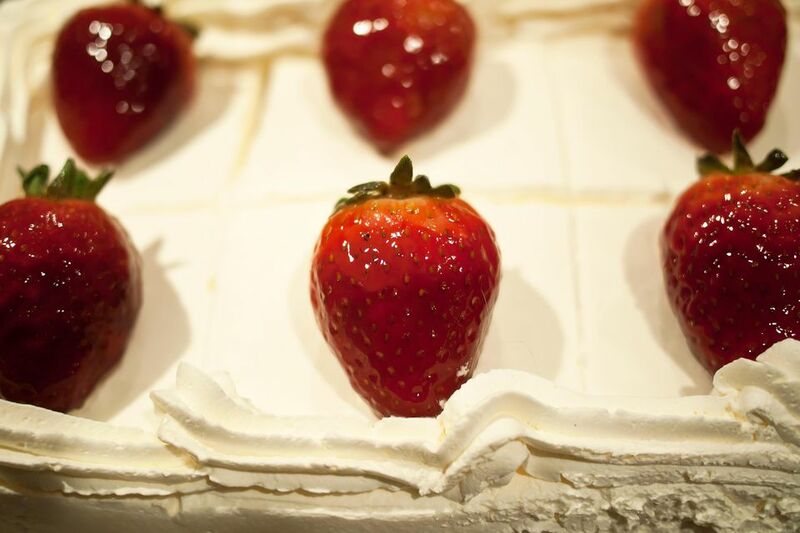 Once the cake layers are completely cool, either use a long serrated knife or dental floss to slice them horizontally into 2 layers, and this should give you a total of 4 layers. In a small bowl, mix the rum (or Marsala) with the water. Use a pastry brush to brush the top of the cake layers with the liquor mixture. Give it a minute or so to absorb the alcohol before building the cake. Place a single cake layer in the bottom of a cheesecake (9-inch springform) pan and spread with 1/3 of filling mixture. Repeat with the other 3 layers. Wrap the unfrosted cake in plastic and refrigerate it for at least 4 hours. Refrigerating the cake overnight is best. The next day, whip the cream with the powdered sugar and liquor. Beat long enough that firm peaks are formed. Store the whipped cream in the refrigerator until ready to use. Next, unwrap the cake and carefully move it to a serving plate using two strong spatulas. Frost the cake top and then the sides with the whipped cream mixture. Decorate with optional chocolate shavings or mini chocolate chips. Maraschino cherries around the top of the cake could look pretty, too. Have You Tried These 7 Classic Italian Cakes?